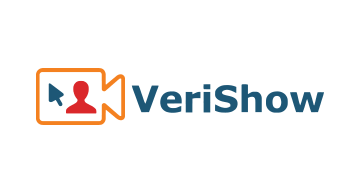 VeriShow (by HBRlabs llc) is rich media SaaS based human engagement platform that provides organizations such as banks with a host of tools to engage customers in a live personalized session directly from within their web site. The main benefit is the ability to engage with a customer in person remotely as if he or she walked into your brunch or office in person. Though tools such as Artificial Intelligence / Bots help institutions provide certain searchable information to customers, human touch is often what clients need to get a complete answer to their need. Efficiency and good user experience are essential part of the solution which was tailored to accommodate both. VeriShow offers variety of solutions and models to address several different use case scenarios and business needs. With VeriShow the banker can talk to a customer via HD video chat (one way or two way), show them off-line materials (i.e. documents, video clips) and even help them complete online transactions. They can securely co-browse web pages behind login from the exact point where the customer is, the platform supports iFrames, customer’s cookies are saved and the customer can continue browsing on the site from the exact point the agent leaves them. The solution is web based and can be used in mobile devices’ default browsers whenever technology permits. VeriShow is also available as an SDKs for mobile apps (both iOS and Android). The solution integrates with CRMs such as Salesforce, Oracle and MS Dynamics. The capabilities are modular so the solution can be tailored to match vendor’s specific requirements. The solution is SOC 2 Type Security Certified. VeriShow is provided by HBRLabs llc.